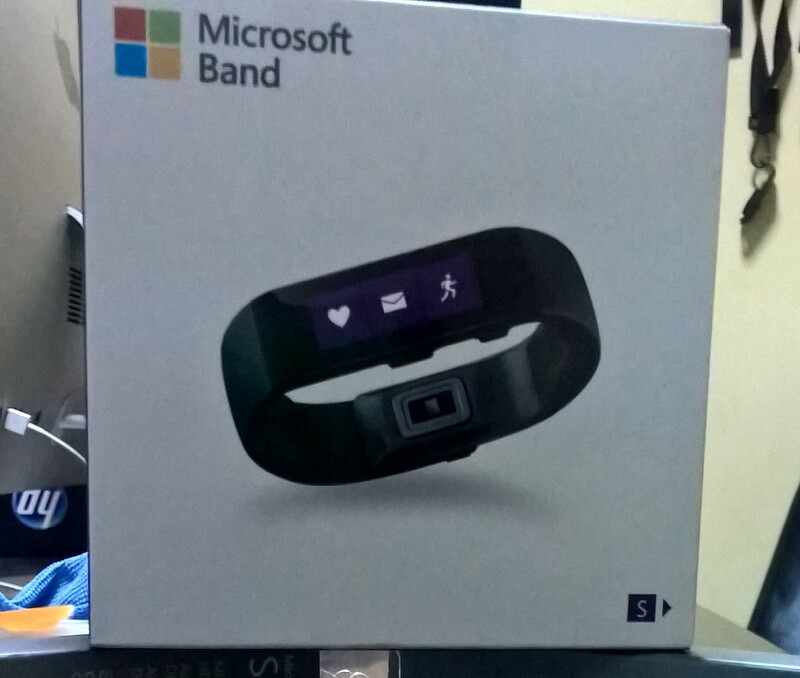 It’s been about two weeks since my Microsoft band arrived after not getting anyone to do me the honors of bringing it home for the US, yeah sure I could have shipped & shipped it right? Well the second shipment part can’t be so trusted so! the wait. The setup synchronization of the band to the Microsoft heath app is very easy but tricky. It needs a step by approach that if you don’t follow will only result in unnecessary stress. Happened to me and I was fortunate to blame it on the Windows10 mobile preview(i read from forums and articles others had synchronization issues, especially with Bluetooth not working)installed on my Lumia 930, tried it on an iPhone 5S still without success and then the experience learnt from another setup came to mind. So i started over with the iPhone 5S again going step by step and voila it connected. With renewed faith and only preview to blame I retried and flawlessly it connected and syhappens when you’ve been waiting on a device for a long time and can’t wait to get it going) It’s very easy to get it styled to your like or you can just go with the default settings. I got the small size as I had earlier printed and used the near to natural size check for wrist size template provided. It fit very well and has room for allowance, that’s if you want it very tight or loosely firm. It felt a bit bulky and sometimes too tight to my wrist (even though I can adjust it, but it feels much firmer when tighter). It can collect dust but doesn’t easily. The screen hasn’t had a scratch yet but the front is all but looking like I’ve had it for about maybe 6months or a year. I think Microsoft needs to change the material used for the front part. I currently have so many hair line scratches on the front, but amazingly the screen is intact. This might probably be due to how I’ve been wearing it, that’s with the screen in (opposite way of wearing a watch). Doing a lot of typing means it has it’s face always scratching a surface (I like using my devices without covers and screen protectors, not sure why I’ll like to get a case for say a green or orange colored device; what case color then will I have to buy?, I also well read that was going to happen, but I still held on to my principle of no protectors, it actually feels cool doing that). Using the band the other way, how watches are usually worn felt a bit out of place on my wrist when it comes to using it or checking an incoming notification. So what have I been using it for? well lately to check how well I have rested, using the sleep data from the health app. I actually had an issue with how that was going to work but it looks like it’s resolved. Issue was I had to set it the first few nights when ready to sleep. Then I asked myself how often I could remember to do this. It eventually happened that I one time slept and forgot to set it up (those nights when you are so exhausted you even can’t eat but just head off to bed). Woke up and realized I forgot to set it up, but after it synced I saw it had registered a new log titled sleep identified. Good huh! So I can go to bed actually forgetting to start it but it’ll still record stuff. I haven’t been out running or riding so haven’t put that to test. I use the steps, heart rate monitor and calories sections often. I don’t think I’ll be using the UV thing, always says 60 minutes to sun burn which kind of never happens so I guess I can replace that with another notification. Talking about notifications I wish with the one windows store it’ll get more developers to do something with the band. I receive my email, twitter, calls and SMS notifications on the band. Maybe Skype, WhatsApp, Facebook and others could make it fun. Getting call notifications Works this way, call comes through to phone and after 3-5 seconds gets sent over to the Microsoft band. Sometimes it delays and comes in a little too late to find your phone before the call ends (I think this could be a preview issue). There’s also the weather, time, calendar and Cortana. I haven’t been able to get Cortana working very well with the current build of the Windows 10 mobile preview on the phone so I think it has an effect on the band as well. It tries to listen but returns nothing and is neither able to send me updates from the phone. I hope the next phone build will sort this out. Battery life has been very on point. I haven’t had a lot of cause to keep charging it. It’s able to last at least two whole days before alerting for a charge. But I think this is largely up to your usage. If it keeps notifying you every second I doubt it’ll be able to last that long. You can always snag it up on charge when you don’t need it doing a thing for you. It’s been two weeks and It doesn’t feel bulky or give me the impression I have something on my wrist. It’s become a part of my daily life, I now find myself looking at the Microsoft band when I feel the vibration on my wrist, even when I have the phone in front of me on the desk I prefer looking at my wrist. I no more put my hand in my pocket to reach for my phone because the band serves me well in this regard and oh yeah before I forget you know you can send a reply in some apps right? Well even though the screen is small I was surprised by the accuracy it had. I don’t worry going back to check if a sent reply was the right message or if it had typed out something else. I can’t wait for a much improved version 2 of the Microsoft Band (microsoft sure does it better with version 2’s, check the Surface line) hopefully it wouldn’t disappoint when its released. Have you been using the band? Do you have a question about the band? Want to share some helpful hints about or your experience with the microsof band? Tell us in the comments. Let’s interact and don’t forget to follow or check me up on twitter @silverscholar for all updates and trends in the Microsoft Ghana, West Africa, Africa and Microsoft Corporation world. Windows 10 is Two Years! A little Throwback and future look.